Neurodegenerative diseases (ND) represent a major and growing healthcare problem, especially in developed nations with aging populations. These disorders affect mostly adults and can last for decades, causing long-term suffering to patients and their families. Neurodegeneration also contributes to the development of chronic debilitating diseases affecting younger people, such as epilepsy, multiple sclerosis (MS) and Huntington’s disease. There are more than 600 different types of NDs, affecting millions worldwide. Researchers at the Euro Neurinox project note that European health services spent approximately 72 billion euros on ND treatments in 2006, and that currently, 16 percent of Europe’s population is over 65 — a proportion expected to reach 25 percent by 2030. As such, ND-related costs are becoming a serious burden to society. Moreover, current standard ND treatments are mostly palliative, easing symptoms of these diseases but not addressing their cause. The five-year, 15.4 million Euro Neurinox project, a multidisciplinary research consortium mostly funded by the EU, is now entering the final year of study to investigate neurodegenerative disease mechanisms and to elucidate how inflammation associated with reactive oxygen species (ROS) like nitrogen oxide (NOX) impacts these disorders. The specific diseases this project has targeted include amyotrophic lateral sclerosis (ALS), MS, hippocampal sclerosis (MTLE-HS), and other rare autoimmune peripheral neuropathies (APL). The applications of the research’s anticipated findings are expected to be broad, however, and include Huntington’s disease. The project’s overarching objective is to understand how NOX-derived ROS control neuroinflammation, to identify novel molecular pathways and oxidative biomarkers involved in NOX-dependent neuroinflammation, and develop specific therapies for neurogenerative diseases based on NOX modulation. 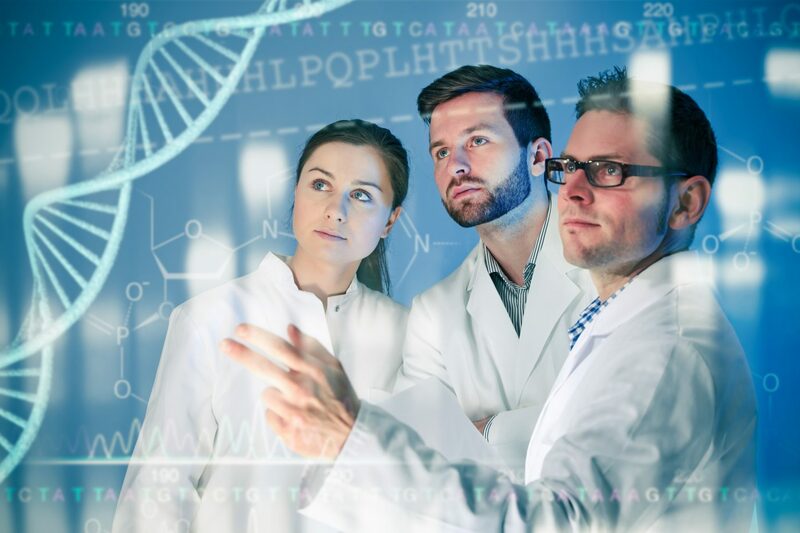 The Neurinox consortium includes leading scientists in NOX research, ROS biology, small and medium-sized enterprises (SMEs) for drug development, experts in the neuroinflammatory aspects of neurodegeneration, genomics and proteomics, and clinicians. A project periodic report summary observes that during progression of neurodegenerative diseases, strong inflammation occurs in the central nervous system (CNS) and a key mechanism of neuroinflammation regulation is the generation of reactive oxygen species (ROS). 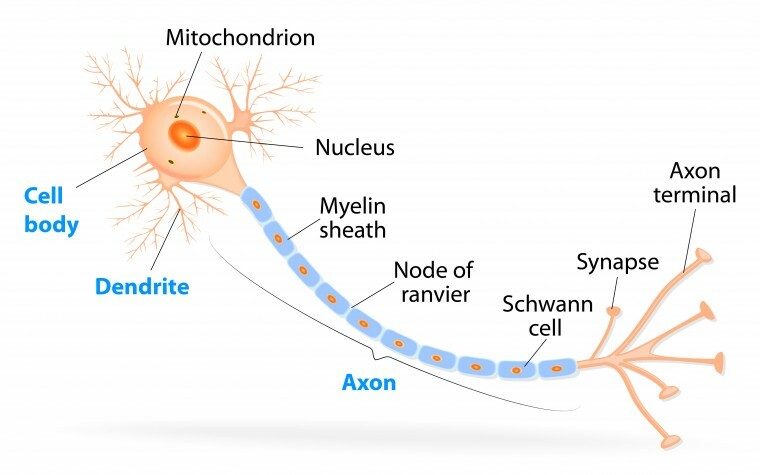 In the CNS, nicotinamide adenine dinucleotide phosphate (NADPH) oxidases (a NOX species) are major sources of ROS, and in the context of neuroinflammation, their role is complex: overproduction of ROS by NOX is associated with progressive neurodegenerative disorders, such as ALS, through mechanisms like microglia activation as well as by direct neurotoxicity of ROS. At the same time, the lack of ROS production is associated with autoimmune neuroinflammatory diseases like multiple sclerosis through mechanisms that include enhanced T lymphocyte activation in the absence of ROS generation by antigen-presenting cells. Indeed, although ROS are known contributors of neurodegeneration, the antioxidant therapeutic strategies used to neutralize them were mostly unsuccessful due to lack of specificity. Targeting the source of ROS, i.e. NOX enzymes, has much greater potential for drug therapy because it allows for a structure-activity relationship and to correlate NOX activity with disease. 5) clinical studies involving human samples, from ALS and multiple sclerosis patients, and prospective clinical studies are currently being performed to evaluate NOX-related molecular pathways. a) Mouse models of neuroinflammation: the role of NOX enzymes was studied in different models of neuroinflammation. Specifically, massive increase of NOX2 expression and activity was detected in the spinal cord of a mouse model of ALS (SOD1G93A mouse) and in the cerebellum of a model of cerebellar degeneration (DeltaF mouse) particularly associated with increased global oxidation in the affected organs. Additionally, two in vivo models of epilepsy-mediated hippocampal degeneration have been established. b) Genetically modified mice: different transgenic mouse models targeting NOX2 were generated and characterized. The first model conditionally expresses a single nucleotide mutation in the ncf1 subunit of NOX2 leading to increased autoimmune susceptibility. These animal models are currently available to Neurinox partners for proof of principle experiments in their respective neuroinflammation models. c) Drug development: significant progress has been achieved here. Among 157,406 compounds screened, several small molecules were identified showing different selectivity profiles. Identified compounds are currently evaluated in secondary assays. d) Use of NOX modulators in vivo: a complete profile of NOX inhibition of phenothiazines (which are drugs already used in clinic for other applications) has been performed. Based on its potent inhibition of NOX2, perphenazine was selected for administration in the ALS mouse model. Unfortunately, perphenazine did not increase survival of SOD1G93A mice at the dose tested, but slight motor function improvement was detected. In parallel, an in vitro screening system was established allowing screening of NOX2 activators. This led to the identification of a chemical series which was recently patented. All characterized compounds will be shortly available to Neurinox partners for evaluation in different animal models of neuroinflammation. e) Oxidative stress assessment: novel methods to measure NOX activity and the impact of oxidative stress in vivo have been developed. For example, it has been shown that subclinical inflammation can be detected using another method to measure ROS generation by in vivo imaging. In the search for novel NOX-dependent oxidized biomarkers correlating with disease severity, an assay for F2-isoprostanes detection was established and parameters of the assay were optimized. f) Clinical data: In humans, NOX-related molecular pathways are studied in prospective clinical studies using blood samples from ALS and MS patients. Patients have been recruited and sample collection is ongoing. First data from the analysis of ROS production by immortalized B-lymphocytes are available. The Neurinox consortium is the first concerted effort to gain a comprehensive view of the implication of ROS-generating NOX enzymes in neuroinflammation, and the project’s findings can contribute to better understanding of brain dysfunction, particularly the link to neuroinflammation, and to identify new therapeutic targets for neurodegeneration. Successful demonstration of the benefits of NOX modulating drugs in ALS and MS animal models, and in ALS early clinical trials, can validate a novel high potential therapeutics target for ALS and also many types of neurodegenerative diseases. • A better understanding of common mechanisms of brain diseases, and in particular oxidative stress-mediated neurodegeneration, and the link between the different NOX isoforms and neuroinflammation and how their activities control the neuroinflammatory process in neurodegenerative disease. • Novel oxidation biomarkers, molecular pathways, genes and single nucleotide polymorphisms (SNPs) correlating with NOX activity and neurodegenerative diseases for neurodegenerative and autoimmune-mediated neuroinflammation. • Small molecules (NOX inhibitors and NOX activators), validated by Neurinox in animal models. • Validation of NOX as viable targets for development of therapeutics for ALS and potentially many other neuroinflammatory neurodegenerative diseases. • A better understanding of brain function. Neurinox results will represent a major breakthrough in the understanding and therapeutic approaches of the role of NOX in neuroinflammation in major diseases such as ALS, MS and MTLE-HS. It will also help identifying more general mechanisms that play a role in other ND disorders, providing a general understanding of neuroinflammation. • Better management of neuroinflammatory and subsequent neurodegenerative diseases: Costs of neurodegenerative diseases are huge. By exploring a new therapeutic approach in ALS and NOX as a new therapeutic target in other NDs, the project contributes to the improvement in clinical management of neurodegenerative diseases and hence to a reduction of health care costs. • Public health: NOX-mediated therapeutics may be used for slowing progression of neurodegenerative diseases, which are so far untreatable. • Competitiveness of European industry: The project aims at creating new knowledge and translating it into novel therapeutic targets through the involvement of a number of SMEs who are well-positioned to derive new therapeutic products. Through industrial collaboration, the proposed work will increase the competitiveness and boost the innovative capacity of European health-related enterprises, which is a global priority of the Seventh Framework Programme (FP7) ‘Health’ program. Neurinox is coordinated by the University of Geneva and involves eight academic and clinical groups and four small-medium sized enterprises from Switzerland, France, Sweden, Greece, Italy and Australia. 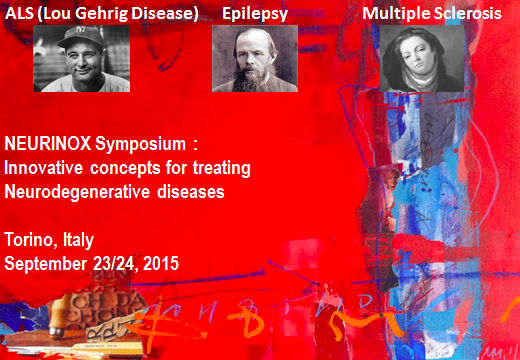 The latest findings of the Neurinox consortium, and its efforts to develop new drugs and personalized medicine approaches f were presented at the Neurinox International Symposium on “Innovative concepts for treating neurodegenerative diseases” held in Turin, Italy, on Sept. 23-24, 2015. The University of Geneva (UNIGE) provides state-of-the-art infrastructure for research (animal facilities, genomic, proteomics and imaging platforms and clinical research center). A large part of the research performed in the laboratory of Prof. Krause in the UNIGE Department of Pathology and Immunology focuses on the role of NOX enzymes in pathophysiological situations. Several NOX isoforms were discovered in this lab and NOX1 and NOX4 knock-out mice were generated. As coordinator of Neurinox, UNIGE is in charge of scientific management and representation of the project. UNIGE scientists have longstanding expertise in NOX enzymes and recently identified the role played by NOX2 in CNS pathologies. Tagged APN, MTLE-HS, NADPH oxidases (NOX), Neurinox, neurodegeneration, neurodegenerative disease, neuroinflammation, oxygen radicals.